If you're looking for another novel in verse, or a book title dealing with difficult addictions and other tragedy, check out these suggestions. While trying to impress a beautiful, unattainable classmate, fourteen-year-old Andy discovers that a fellow social outcast may be planning an act of school violence. 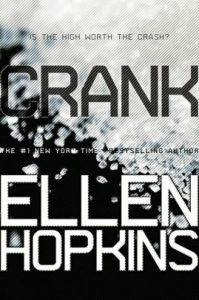 View more suggestions for Ellen Hopkins' Crank.